Miracle Madness 2018 – Events in Christian History! Fuller Library > News > featured > Miracle Madness 2018 – Events in Christian History! 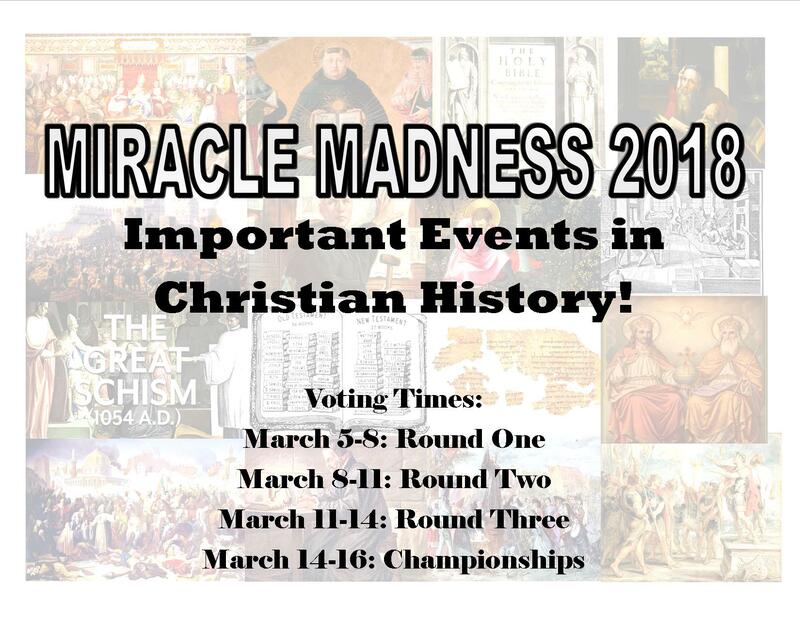 This year’s Miracle Madness pits historic Christian events against each other! Four rounds will have selections of famous events in Christian history. The one with the most votes at the end of the voting period will move on to the next bracket! Johann Gutenberg producing the first printed Bible in 1456! Check back during those dates and vote. Links for each specific round will be active. You can also join in on the action by using this Miracle Madness Bracket! What will reign supreme? Vote for your favorite today!